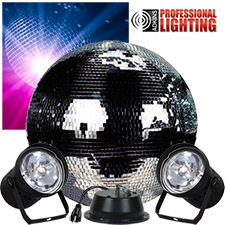 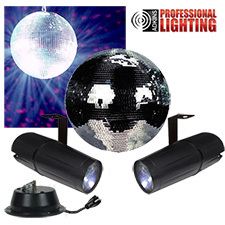 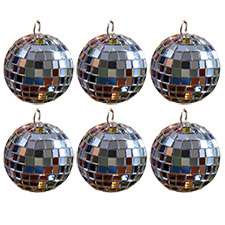 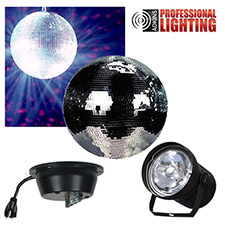 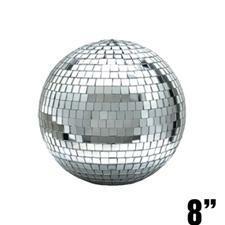 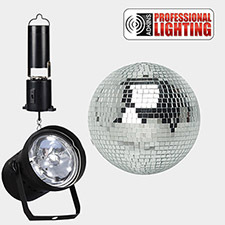 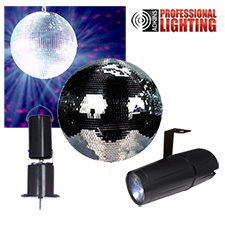 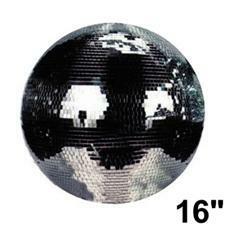 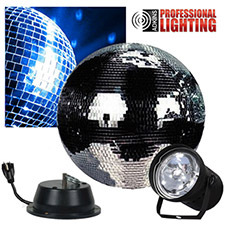 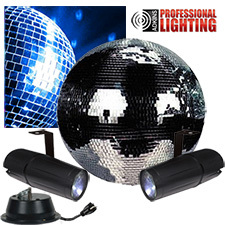 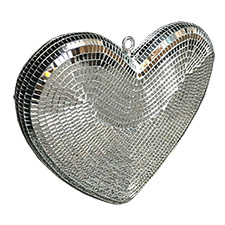 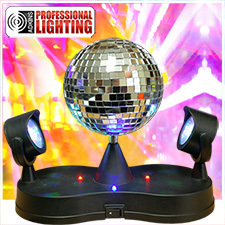 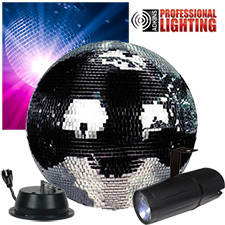 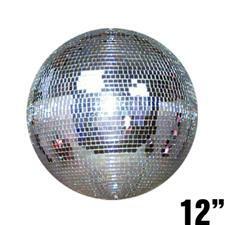 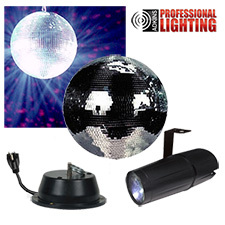 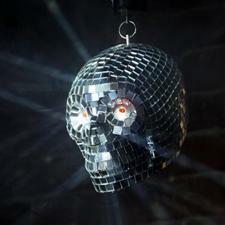 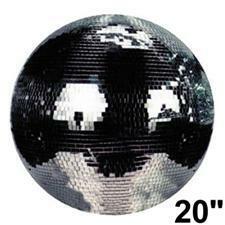 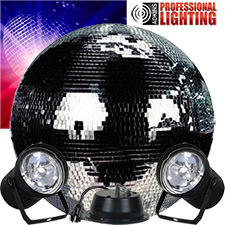 1/2 Price Sale on Mirror Balls, Disco Balls and Mirror Disco Balls. 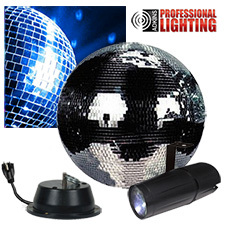 Mirror balls and disco balls can be just the thing to get your party hopping. 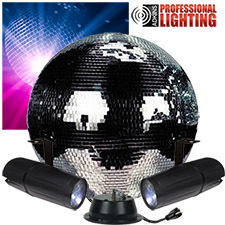 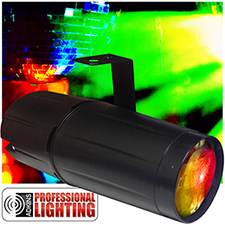 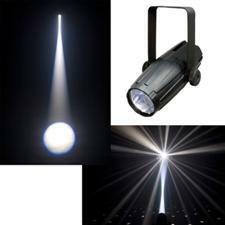 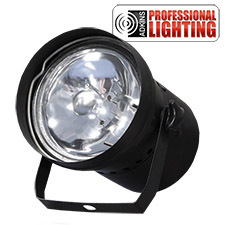 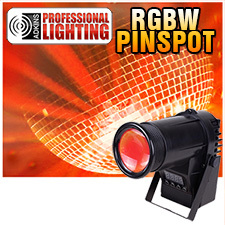 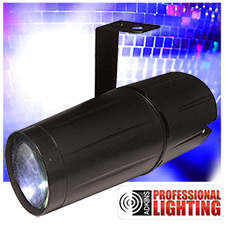 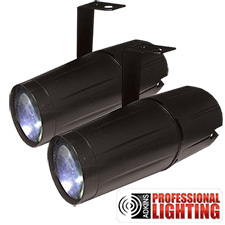 Also known as disco balls, these create dazzling shafts of light across the floor. 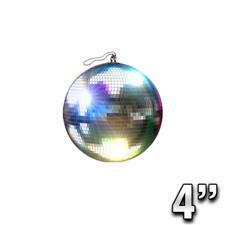 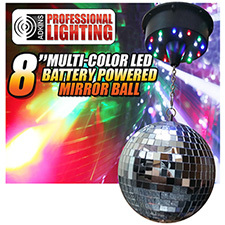 Our mirror balls are perfect for DJs, dance floors, clubs and parties, or use them to spice up your bedroom or dorm room. 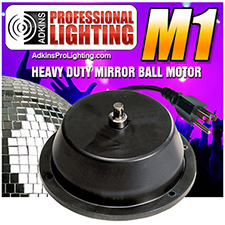 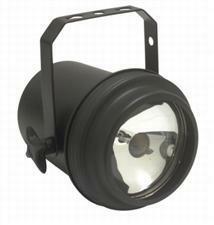 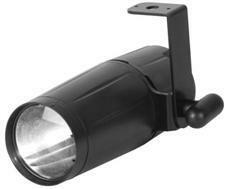 Add a motor to make it spin and a Pinspot to light it up. 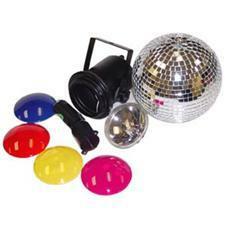 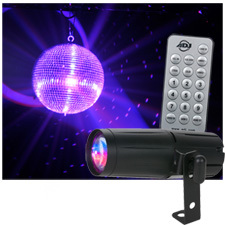 12 Mirror Ball Party Kit"